Passport sized photos are used not only for passports, but also for the purpose of identity on various application forms and ID card creation, today I will be sharing a free software to create and print standard sized passports photographs from home with ease. 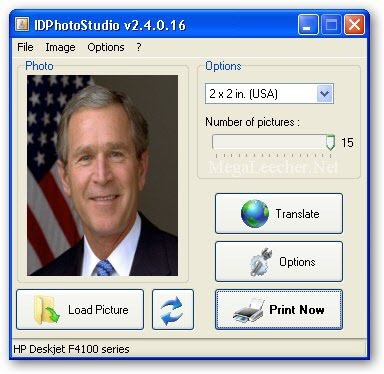 IDPhotoStudio is an extremely simple to use free utility for creating and printing multiple standard sized ID photo's using your printer, the handy utility lets you select a photo from your computer, automatically resize it to the required selected size and then print or save the output as an image for later use. The software currently supports 2x2 inch USA, 35x45 mm France and 50x70 mm Canada passport photo sizes with option for upto 30 pictures on a single A4 sized paper, support for Greyscale and Sepia output is also provided. The only much needed feature missing in the utility would be the option to crop images, which is essential for creating passport sized pictures from normal images while maintaining proper height-width ratio. Also, Pls. don't forget to DECLINE the installation of OPTIONAL RelevantKnowledge online behavior monitoring software if you don't wish to share your browsing habits. The homepage link doesn't seem to be working. Don't know if kcsoftwares.com is down! i like the soft ware but i cant pay it through credit card or debit card coz i dont have one, if you have a account number that i can transfer it from bank or a money order. You can create passport photos with www.idphoto4you.com website. 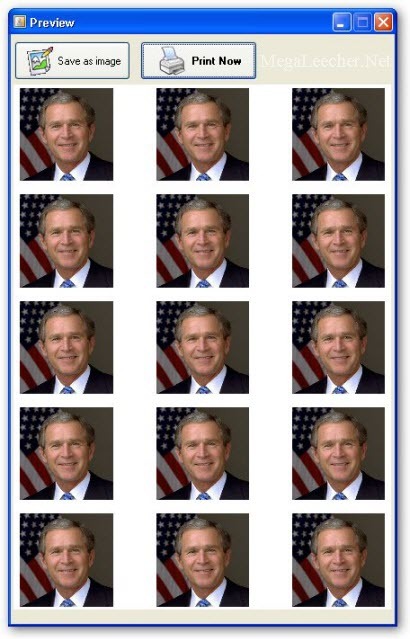 It use face detection to set crop the method. And it know many standards and print sizes. You have to only upload a photo. The best website for self preparing and printing the passport photo is www.idphoto4you.com. I cannot download the ID Photo Studio Software so as to check its utility.